The Brooklyn Navy Yard has long been on the radar of developers, and now its reinvention is underway. The new neighbors are a little more gregarious than those of previous years, and Filippidis has made some new friends. 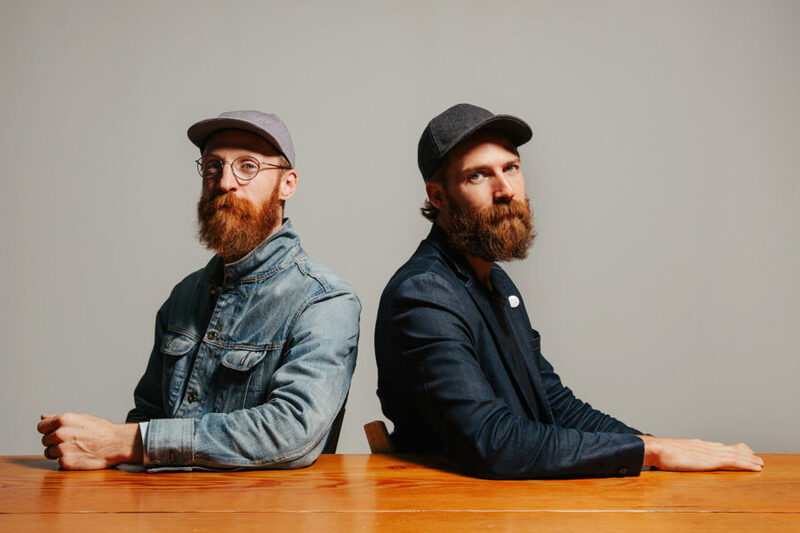 Among them is the team of Rick and Michael Mast, the sibling duo behind what may be the country’s first high-concept chocolate brand: Mast Brothers, the artisanal label known for its surprisingly stylish wrappers and improbable flavors, and for occasionally touching off heated debates within the arcane world of confectionary purists. The Masts have commandeered a sprawling 65,000-square-foot warehouse space at the very center of the Yard, where they’re consolidating their production and distribution processes over the next year. Seattle-based architect Tom Kundig is designing it. “There’s just no other place like it in New York,” says Rick Mast. In no time at all, the company already seems like it’s put down roots, getting chummy with old-timers like Filippidis as well as more recent arrivals. Of the latter, the number is startling. On the northern end of campus, there’s the Billion Oyster Project, an ambitious non-profit trying to reseed the riverbeds around the city with the native pollutant-fighting bivalves—they’ve raised 19.5 million of them in the last three years alone. There’s also Ice Stone, creators of sustainable kitchen countertops made from recycled glass, and Crye Precision, which can make you a body suit to dive safely into chemically contaminated water. There are woodworkers and hand-decorated ceramic vase makers and ecologically-sound detergent producers, and in the space of scarcely a decade they’ve all migrated to the Navy Yard’s cavernous storehouses and daylight factories. Scenes at the Navy Yard. Remarkably, they sit side by side with what remains for large stretches an unpeopled and profoundly romantic graveyard of castoff New York City ephemera, dating back a century or more. Walking through a landscape of gantries and gravel piles, the visitor—in this instance, a very lost and somewhat tipsy one—is confronted with one surreal spectacle after another: A segment of an airplane fuselage sits on a trailer bed across from a lonely taco stand, while an ambulance for a Hebrew hospital glides past in the direction of what is obviously a dead end. Round a corner, and just as the sun reemerges from behind another massive cloud bank, you may see the Gov. Alfred E. Smith, the city’s longest continually operating fireboat, sitting aside one of the northernmost piers, its bow cannon pointed toward the Manhattan skyline. The towers seem impossibly close. Depending upon your state of mind, it can all be a bit overwhelming. But it used to be worse. “When I first came here,” Doug Steiner recalls, “there were packs of wild dogs running around. It looked bombed out, and nobody wanted to be here.” Steiner, who has a taste for rough urban space, felt differently than most people about the place. “I immediately liked everything I saw,” he says. 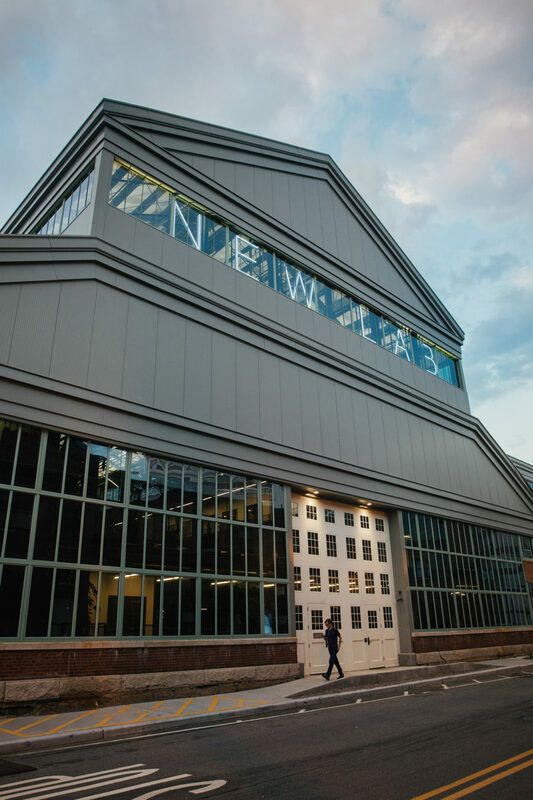 More so than any other individual tenant, Steiner’s eponymous film studio may be most responsible for the reversal in the Navy Yard’s fortunes since the turn of the millennium. Steiner Studios opened near the complex’s Sand Street entrance in 2004, and currently holds the lease on some 60 of the 300 acres available on site. In addition to hosting television and movie productions in its 580,000 square feet of renovated sound stages, Steiner also claims dominion over an immense swath of land that stretches towards the northern perimeter of the Yard, backing up on Kent Avenue. Planned as additional office and back lot space, these are the grounds of the long-defunct Naval hospital, the heart of the historical Navy Yard. It’s a good place to start looking for the area’s past. By the late 18th century, small-scale shipbuilding had already come to the banks of Wallabout Bay, a semi-circular recess in the Brooklyn shoreline partially enclosed by a shallow mudflat. The newborn United States government stepped in in 1801, purchasing the rights to the docks and surrounding upland for the building of military vessels. For more than a century and half, that’s just what went on here: The Monitor, the country’s first ironclad frigate, had her first trials here during the Civil War; the U.S.S. Maine, whose destruction touched off the Spanish-American War, was launched from here. The Naval Hospital, and the gracious buildings that surround it, were the center of a thriving community, almost a city within the city, with senior officers living in an adjacent suite of stately homes that came to be known as Admiral’s Row. At its height during World War II, the Navy Yard was a major cog in the arsenal of democracy, with some 70,000 people working there round the clock. And then the war ended. Wallabout Bay had always been an improbable spot for the works of a global seagoing power, given the unfavorable river currents and its location between two 19th-century bridges, whose spans were too low for America’s modern warships. Construction continued in the dry docks until 1966, when the Navy decommissioned the Yards for good, throwing thousands of people out of work. For decades, the site languished. The cats the Navy had kept around as mousers took over the hospital and the houses, while poison ivy sprouted unchecked; it still grows in thick red-and-green curtains, and hissing toms dart in and out of it, frightening the skittish intruder. (Not this one, of course.) After the city acquired the Yard in the late ’60s, public and private entities tried one grand scheme after another to revive it. Everything failed. David Ehrenberg has been president of the governing body of the Brooklyn Navy Yard since 2013, and he sees its recent turnaround as stemming form a confluence of factors. The arrival of Steiner, he points out, came at a moment when the city was “investing significant amounts of money into infrastructure—the combination of these two started the boll rolling.” Rather than look for one big tenant to bring jobs and activity to the area, Ehrenberg and his immediate predecessors have lured dozens of smaller businesses into the yards, enticing them with low rents, ample space, and a convenient location right next to the Brooklyn-Queens Expressway. If all goes according to plan, Ehrenberg projects that the next five years should see employment levels rise in the Yard from the current 7,000 to 16,000, numbers not seen since the Korean War. 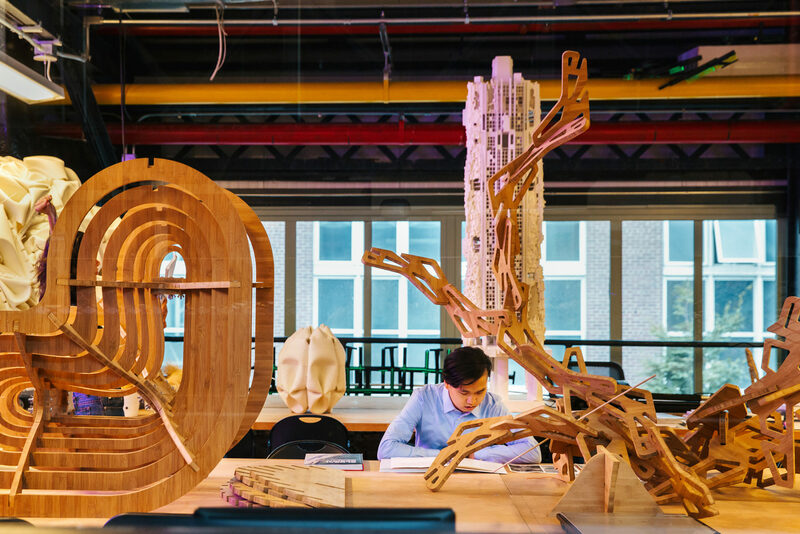 A major ingredient in the incipient boom is New Lab, a mix of business incubator, maker culture hotspot, and adult playroom, cofounded by real estate developer David Belt. 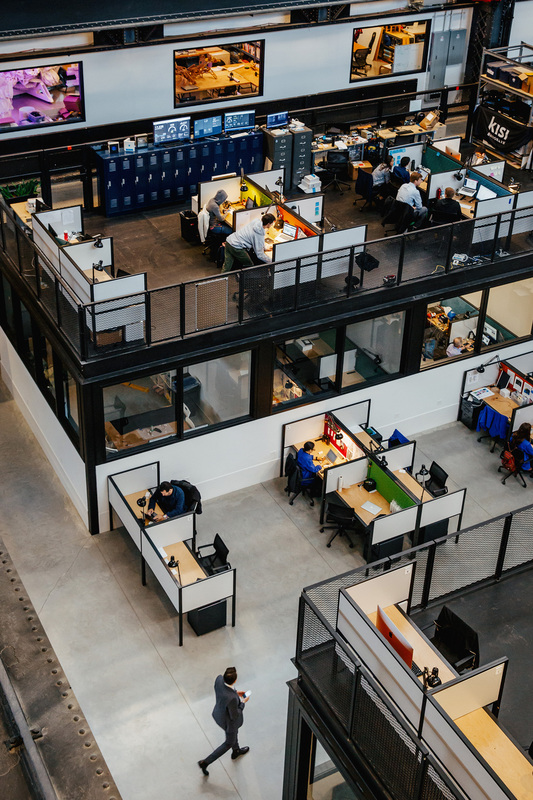 Like Steiner, Belt has a certain attraction to industrial areas—“I’ve done a lot of restoration of old buildings,” he says—that led him to see promise in a long-neglected daylight factory that is now the pristine, colorful home to New Lab’s tenants. On a recent Friday, several of the resident firms were gathered in the building’s downstairs social space for what Belt termed “show-and-tell.” The presentations were astonishing: Honeybee Robotics showed off its recent work on NASA’s Mars landers while Farmshelf discussed its system for sustainable home gardening. “Yeah, it is a little creepy,” adds Thomas Woltz. Back in May, the landscape architect was trooping through the tall grass near the Kent Avenue perimeter, surveying the progress on his now-completed Naval Cemetery Memorial landscape, the first portion of the Yard to be opened to the public practically since the facility’s inception. (The rest of the campus remains closed to non-registered visitors.) Woltz’s park sits right atop a former burial ground reserved for seamen and their families, and far from trying to smother the site’s derelict charm, the new project pays homage to it, with a curving wooden walkway hovering over a thick growth of native plants. The spookiness of the cemetery, and of the Yard as a whole, is part of its appeal. What Woltz’s design suggests is that the area’s ongoing revival should be executed with a gentle touch. Post-industrial redevelopment has been a growing trend in American cities for a couple decades now, and it usually entails a degree of historical erasure: Glossy residential high-rises displace the old workshops and rope-walks, and while a select few get a nice new neighborhood the city as a whole can lose out, part of its history and its economic diversity wiped out forever. 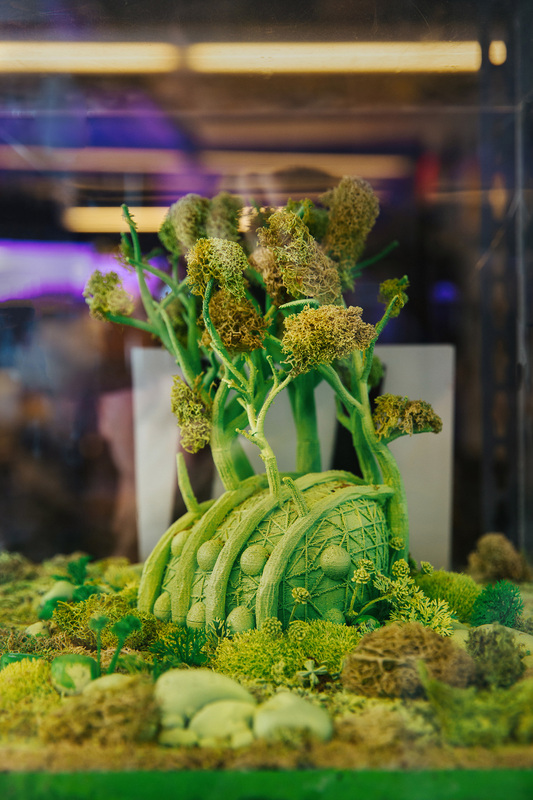 The Yard is trying something new, seeding its rocky soil with aspiring manufacturers, at least some of whom may have the potential to grow and fill out the empty expanses that line the East River waterfront. 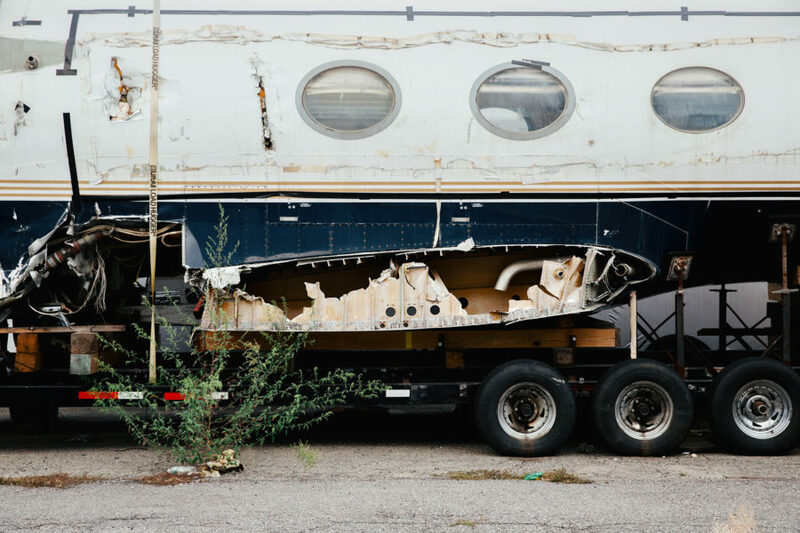 If it works, it could be the model for a new urban economy—not post-industrial, but re-industrial—though to do it the Navy Yard will have to maintain its momentum while keeping touch with its ineluctable weirdness. It seems to be on the right track. For the adventurous gourmand, the Yard now boasts a cricket farm—run by architect Mitchell Joachim—and after scarfing down a few, you can walk right over to Rooftop Reds for a glass of wine redolent of the wholesome terroir of western Brooklyn. Of course, you can always just walk back down to Moot, where Chaz will be happy to see you.